Here is my first attempt at a Mixed Media canvas. It was Sooo much fun. It helped that I was at my sisters playing with her and all her fun stuff (we both worked on a canvas each). 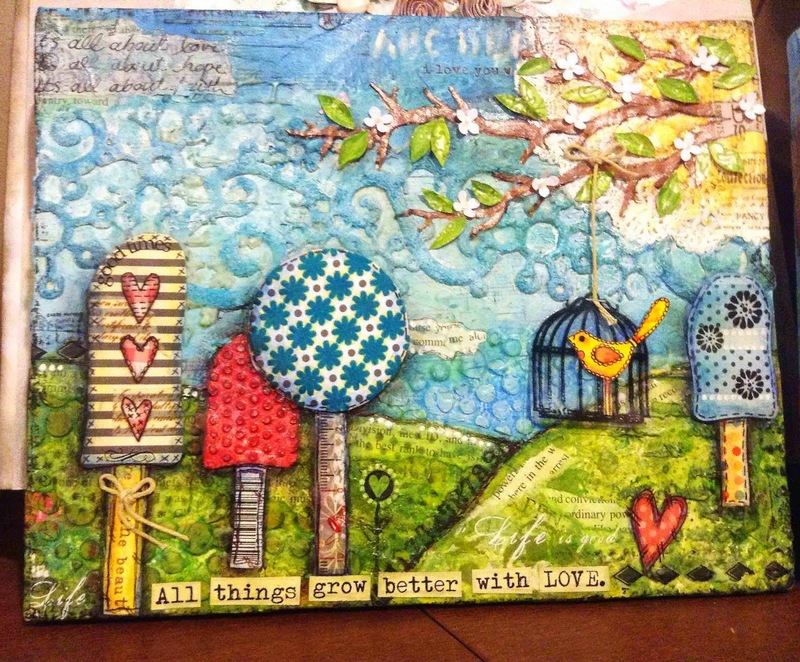 Its on a small canvas and I used torn old book papers, patterned papers, gesso, modge podge, stamps, string, acrylic paint, doily, rub ons, acetate, washi tape, texture paste, plus more to create this. What an enjoyable time we had. Thanks Lydell!